We are living in an era not only dominated but often driven by new and emerging technologies. Today, there is indeed no aspect of human life that is untouched by technologies in some form or another. Space technology is a classic example of an emerging capability that has a multitude of applications in both civilian and military segments. In the area of global navigational systems, satellites perform multitudes of tasks while orbiting both near and far orbits round the Earth. While remote sensing satellites are used to map the Earth’s surface, communication satellites enable the successful operation of extensive global communications of various types. As the new capabilities bring in new opportunities, they also bring in their wake new challenges, particularly when the applications involve both commercial opportunities and security concerns. The conference at King’s College London in which a group of experts, not only in remote sensing and communications satellite technologies but also in legal and ethical matters related to these capabilities, has been timely. 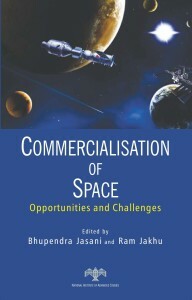 It is hoped that this volume will give an informed basis to continue the debate on the opportunities and challenges relating to the commercialisation of space. 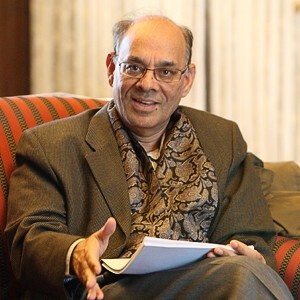 Professor Bhupendra Jasani has an MSc in Nuclear Physics and a PhD in Nuclear Physics and Nuclear Medicine. His main interests are nuclear non-proliferation and the militarisation of outer space. In 1990, he joined the Department of War Studies, King’s College London, University of London, where he is currently a visiting professor. He has participated in a number of European Commission projects under the Global Monitoring for Environment and Security (GMES) programme, in which he coordinated treaty monitoring and early warning of conflicts and natural disasters projects using commercial remote sensing satellites. He was a member of the World Economic Forum’s Network of Global Agenda Council on Space Security between 2011 and 2014. He is a member of the Adjunct Faculty, Faculty of the International Strategic and Security Studies Programme, National Institute of Advanced Studies, Bangalore, India. Dr. Ram Jakhu is Associate Professor, Institute of Air and Space Law, Faculty of Law, McGill University, Montreal, Canada. Dr. Jakhu has over 30 years of experience in space-related fields. He was the first director of the Master of Science in Space Studies at the International Space University, Strasbourg, France. He also served as the Director of the Centre for Research of Regulated Industries of McGill University and the Research Director of the Space Security Index Project. He is the recipient of the International Institute of Space Law’s Distinguished Service Award for significant contribution to the development of space law. Dr. Jakhu is a member of the Space Security Council of the World Economic Forum, a Fellow of the International Association for the Advancement of Space Safety (IAASS) and the Chair of its Legal and Regulatory Committee. He served on the Board of the International Institute of Space Law for fourteen years.